Construction on the United States Navy’s second mobile landing platform (MLP) ship, the future USNS John Glenn (MLP 2), has been marked by the keel laying at General Dynamics’ (GD) Nassco’s shipyard in San Diego. General Dynamics Nassco president Fred Harris said: "Laying the keel of this second Mobile Landing Platform and finishing construction of the first ship are the latest milestones in this successful shipbuilding programme." Scheduled to be delivered in the first quarter of 2014, the second MLP ship has been named to honour the former US Marine Corps pilot and US senator, John Herschel Glenn, who is also the first American astronaut to orbit the Earth. A highly flexible, modular platform, MLP is a new class of auxiliary support ship designed for a broad range of military operations that include humanitarian support and sustainment of traditional military missions. Program Executive Office, Ships Strategic Sealift and Theater Sealift programme manager captain Henry Stevens said that the MLP ships will provide seabasing capability for the navy and will also transform the way the navy and Marine Corps operate from the sea. Powered by twin screw diesel electric propulsion system, the 239m-long, 50m-wide MPL ships will provide support when access to other bases is denied. The MLPs feature a reconfigurable mission deck, sideport ramp, large mooring fenders and a vehicle staging area to carry up to three air-cushioned landing craft vessels. USNS Montford Point (MLP 1), the lead ship of the class, is also currently under construction and is scheduled to be christened in 2013. 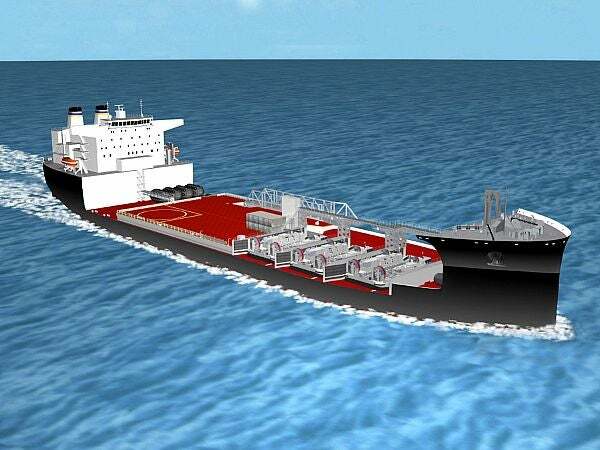 The contract for the third ship, the future USNS Lewis Puller, was awarded in February 2012. Image: Illustration of the US Navy’s mobile landing platform ship. Photo courtesy of US Navy, photo illustration courtesy of NASSCO / Released.